President, Treasurer & three (3) Councillors. Also being called for a term of 12 months are the positions of Alice Springs Zone Representative (see duties below) and all Dogs NT Council sub-committee positions. AGENDA ITEMS – Business for inclusion on the Agenda must be in the hands of the Secretary no later than 17:00 hrs Wednesday 27th March 2019. The Agenda items are to state clearly the item to be discussed along with a short rationale on the item. Notices of Motion must be moved and seconded by financial members of Dogs NT. Representative or nominated representative to attend shows, complete and forward the Dogs NT Show Representative Report to the Dogs NT Office. Act as a middle/mediation point between Alice Springs and Darwin for liaising on general business and other issues. Zone Representative to hold a meeting with the Alice Springs Clubs on a regular basis and one (1) at least three (3) months prior to the Dogs NT AGM with view to placing any items on the AGM Agenda. Prepare a bi-monthly report for inclusion in the TDW. 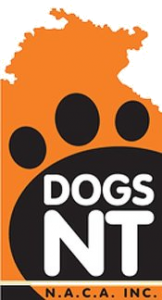 Nomination form can be downloaded HERE, are available from the Dogs NT Facebook Page or collected from the office.